Phyllis Ann Branham, 81, of Prestonsburg passed away Saturday, Oct. 6, at Paul B. Hall RMC following an extended illness. She is survived by her husband, Roscoe "Rocky" Branham of Prestonsburg, a sister, Lora Jean Burchett of Lexington, a brother, James Gordon Music of Mt. Sterling and several nieces and nephews. She is preceded in death by her parents,Gale and Mattie Spradlin Music and a brother, Kenneth Gale Music. Phyllis worked at Francis Clothing store in Prestonsburg as a sales associate and bookkeeper for over 20 years. Visitation will be Monday, Oct. 8 from 6-9 p.m. at the Carter Funeral Home. Funeral Services will be Tuesday, Oct. 9 at 1:30 p.m. with internment following at Gethsemane Gardens. In lieu of flowers, family have requested donations be made to the Floyd County Animal Shelter. 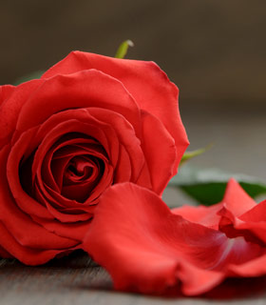 To send flowers to the family of Phyllis Ann Branham (Music), please visit our Heartfelt Sympathies Store. We encourage you to share any memorable photos or stories about Phyllis. All tributes placed on and purchased through this memorial website will remain on in perpetuity for future generations. So sorry to hear of her passing. I remember her at school and also when she worked at Francis store. Alway friendly and such a beautiful lady. Prayers for all of the family. So sorry. Pud.